"The Shades" by Egal 3 is an emotional, minimal deep house track which perfectly encapsulates Sound Of Vast's emerging musical direction It's B-side "Icxperiment" is an ear-catching dancefloor number with extraordinary groove. Scott Kemp and Red Pig Flower then collaborate on the remix of "The Shades." 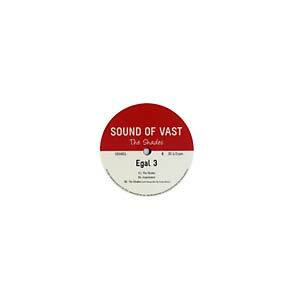 Sound Of Vast was founded by Knock and Red Pig Flower, based in Amsterdam.